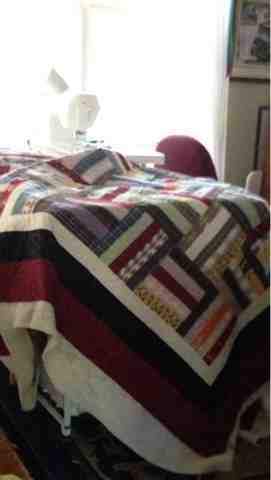 I have completed all three Memorial quilts for a very sweet family. There is nothing that can be said that will ease the pain of losing someone you love. Sometimes it's hard to know what to do, it's a personal matter to each individual. Choosing to have memorial quilts like these made are sure to bring years of comfort and healing.